Audience members at concerts are content to stay in the audience and let the performers perform. They're not nearly as talented as the people performing onstage, and they know it. However, sometimes a fan will get the desire to put on a performance, and depending on their mood, the star might well allow it. When this happens, the performance is usually not very good, and the audience member is quickly sent back to their seat so the actual talent can perform and reclaim the spotlight. Audience members will sometimes blow everybody away with a surprising performance that ends up being just as good, if not better, than the person whose name is on the marquee. These surprising performances can be anything from a fan sheepishly asking Billy Joel if they could duet on his all-time favorite song, a young girl put on the spot by Josh Groban patrolling the audience for a partner, or a guy challenging Kendrick Lamar to a rap battle. Whatever the performance may be, they're all incredibly surprising in quality and showmanship, and leave both performer and audience alternately speechless and loudly cheering. Here, for your viewing and listening pleasure, are 13 of the most surprising audience performances of all time. A mother in the front row of a Michael Buble concert insisted to the singer that her 15-year-old son, Sam Hollyman, could sing. Buble called her bluff and invited the boy up, and the two duetted on "Feeling Good." Once it was Sam's turn, he blew everybody away with a voice just as smooth and sweet as Buble's, and the two finished the song to a standing ovation. 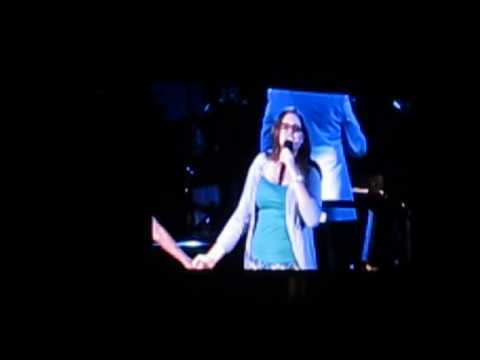 Josh Groban went into the crowd to find somebody to duet with, and he picked out a young girl named Maude Daigneault, who spoke very little English. She knew enough to understand what he wanted to do though, and she respon﻿ded with a gorgeous operatic voice that wowed the crowd and left Goban speechless. He was so impressed in fact, that he sang very little of the song on his own, preferring to shine the spotlight almost completely on Maude. Singer and Broadway actress Kristin Chenoweth invited a fan, Sarah Horn, onstage to perform "For Good." Once onstage, Horn informed Chenoweth that she was a music teacher. Once the duet began, Horn proved that she wasn't making that up, upstaging the professional singer with a super-strong baritone that had Chenoweth literally throwing her arms up as if to say, "How come you don't have my job?" 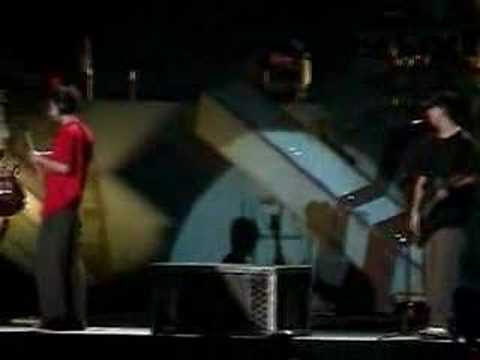 For a performance of their song "Faint," Linkin Park decided to let a member of the audience play guitar. After an aborted first attempt, they found their guy, a kid named Jeff who knew what to do from the very beginning. He performed the entire song flawlessly, and received a standing ovation from the crowd at the end.